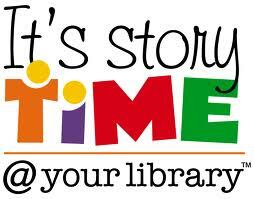 I have just started working on a brand new project: designing a digital storytime at a medium sized suburban library system. The plan is to augment a traditional storytime (probably aimed at preschool kids, or family storytime) and use an iPad, hooked up to a projector to display our content: eBooks and apps. Part of my challenge is to choose WHICH apps and eBooks to use. I have Felt Board which I think we’ll use extensively for songs, fingerplays and some simple stories, and I’m going to try my hand at some draw and tell stories with some kind of drawing app. I have Chalk Pad right now and I’m going to check out Adobe Ideas as well (that might be like killing a flea with a sledgehammer though). I’m going to go through Axis 360 to check out what kind of picture books they have on offer, and to test them out to see how well they’d do projected onto a screen. Tumblebooks and Bookflix are troublesome both in display and in format; we’ll see how Axis 360 and Blio measure up. Read a little more about Baker and Taylor’s stab at ebooks here. Part of what we’ll have to figure out is just how much digital content to include. The program should still support the acquisition of the 6 Early Literacy Skills, and should include wiggling, stomping, singing, audience participation etc, but the vehicle that we use to share some of our goodies will be changing. I’ve never performed a digital storytime to a room full of preschoolers, but I have done lots of old school storytimes, and I’m hoping we can use these digital tools to successfully and seamlessly share digital early literacy programming with our communities. Posted on May 24, 2012, in BookFlix, Early Literacy, iPad, Literacy, Story Time, TumbleBooks. Bookmark the permalink. 8 Comments. If you are after some good picture eBooks, you can’t go past Loud Crow’s versions of Sandra Boynton and Beatrix Potter’s books. Blue Quoll have two beautifully illustrated, modern versions of classic tales with very interesting twists. I agree! Loud Crow does some good stuff. The problem is that they might not translate well to storytime. The interactivity features will be lost when the image is projected on a screen and I’m the only one able to manipulate the iPad. Thanks for the recommendation for Blue Quoll, too! Puss in Boots and Mr Wolf look like great fun! What an interesting challenge that will be. I look forward to hearing how the experiment goes. For a drawing program both my son and I like Whiteboard. Thanks! I’ll post progress reports on the digital storytelling and I’ll take a look at Whiteboard! I’m curious as to the benefits of using an electronic felt board over a real felt board, and a book shown in e book form over a book shared by a librarian. How do you feel using apps and digital media in a storytime setting enchances the storytime experience? Elizabeth: That is a very important question; one that researchers, librarians, early childhood education specialists and parents alike are all considering right now. Instead of answering here in the comments I’m going to do a post on it. Thank you so much for asking! I think using apps and ebooks in a storytime can enhance parents’ and caregivers’ (and our) ability to be critical when it comes to digital media for kids. There is no escaping digital content (nor should there be), but being critical about what is developmentally appropriate and just GOOD is as important about what we read in traditional print format, or display on an actual feltboard. All the material we present needs to be engaging and among the best of what is available for kids, no matter what format it comes in. So kudos for trying this out Cen, I will be really curious to hear how it goes! My prediction is that parents will be really grateful to be able to draw on your critical assessments.